…she released a music video for her brand new single “Sparks”! Hils has been MIA in the music world for a little while, but now she’s resurfacing because she’s been using Tinder. Yes. Tinder. A crazy dating app that is taking the world by storm! I say “crazy” because as an avid listener of Loveline with Dr. Drew & Mike Catherwood, they have had “Tinder Tales” on their radio show/podcast that have made me laugh so hard! 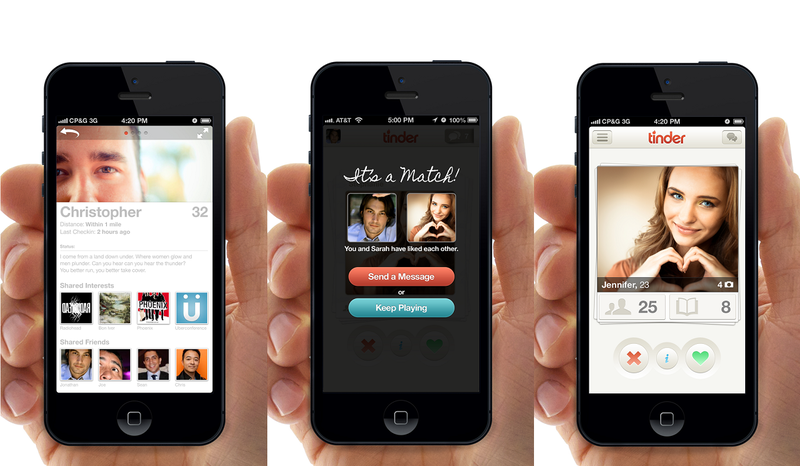 You would be amazed at how “crazy” Tinder really is and turns out to be! Call me crazy (I’ve said that word way too much already) but I think it’s a little ridiculous that someone with a career in the entertainment business would need to use Tinder to find a boyfriend/girlfriend. 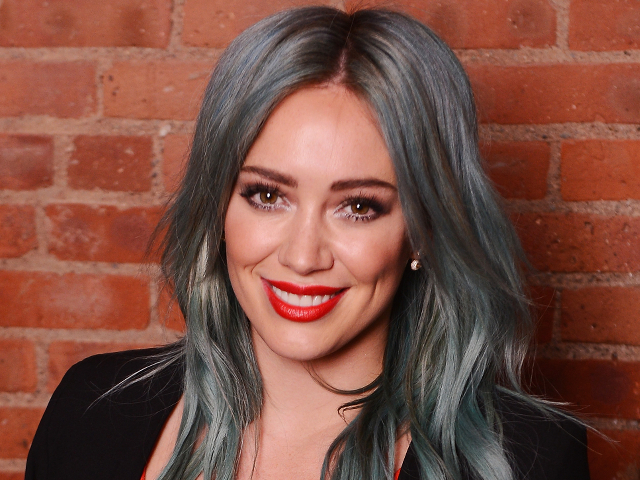 I mean…you’re Hilary Duff! What kind of help does she really need in the love department?! Can’t her friend set her up with someone they know? A potential suitor? It’s been a while since I’ve heard of Miss Duff associated with music, but now she’s kind of branded herself as the Queen of Tinder. Check out her Tinder profile! HDuff released that video on two Thursdays ago (May 14th) just to tease her throngs of fans about her Tinder usage, for good measure. The song is catchy and cool! I dig it and her hair is bold! I love the cotton candy look and I’ve been thinking of going for that look for years haha A much less overall color look, but still: lavender would be my top choice. 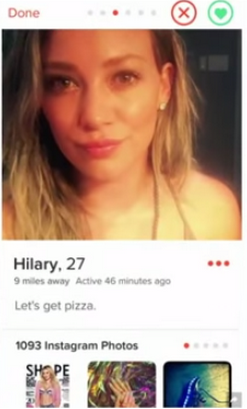 Congrats to Hilary on your new song/video & good luck on Tinder!